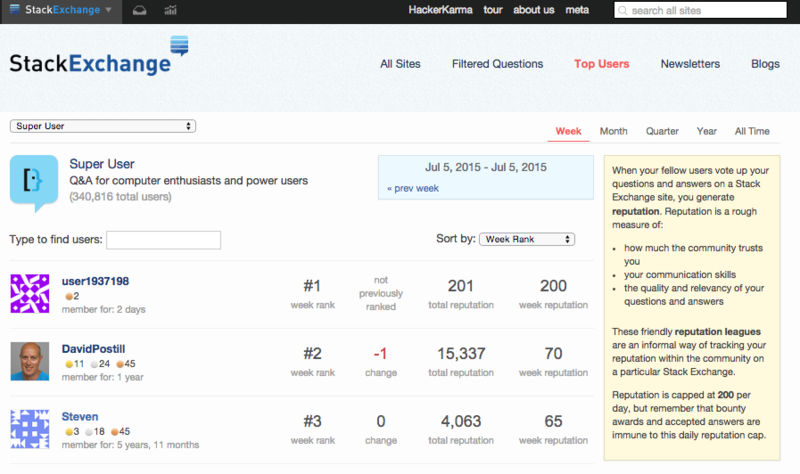 There is a discrepancy in members stats (position/ranking) shown for the StackOverflow's Top Users by Week, Month, Quarter, or Year on the Stack Exchange Leagues web page. The listing incorrectly displays the user named "Anand S Kumar" as a "Top User" for the month and quarter period. Whereas, in reality, Anand S Kumar currently sits at the 3rd position (see screenshots at the bottom of this post) as for the monthly and quarterly ranking goes. He is only a top user for the week and that part is correctly shown. In the above screenshot, notice the two red checkmarks (denoting incorrect) above the user Anand S Kumar's profile picture. You can click on his(and other users too) profile picture to validate the current standing for the given period especially for the month and quarter. 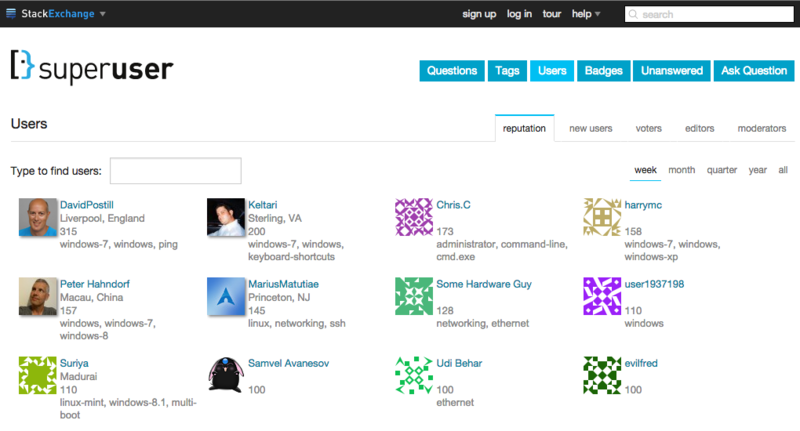 And, just out of curiosity (and to confirm too), I checked the other users profiles shown for "Super User", "Ask Ubuntu" and "Server Fault" sites and they are perfectly fine. I wonder why the same logic (assuming that the same program is used to generate the entire "Top Users" page) is not working for the "Stack Overflow" site. Is this a bug? Something is wrong here. Any idea? 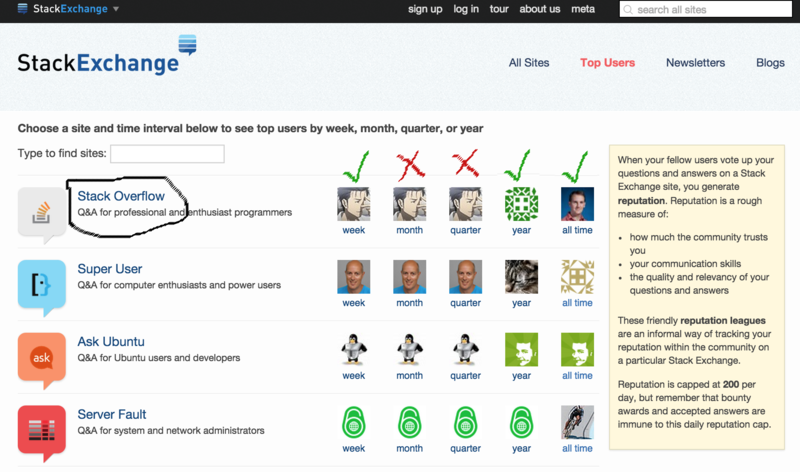 The user "Anand S Kumar" weekly position is now replaced with another user named "Xan" and I verified it is correct. BUT, "Anand S Kumar" is still listed incorrectly for the month and quarter period. 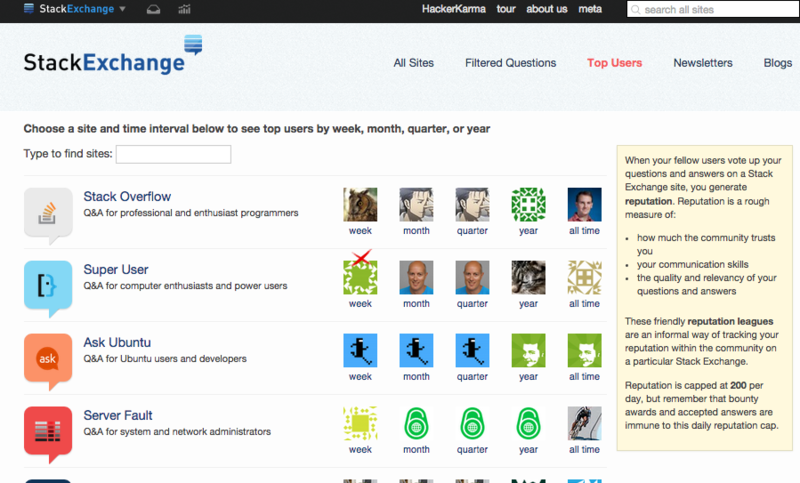 Browse other questions tagged bug stack-overflow stack-exchange reputation-leagues .